When you have flu what can you do naturally? One of the important questions for us to day is: When you have flu or a cold what can you do naturally? One answer is Red Raspberry! Red Raspberry leaf is a minor miracle among herbs and one of my most favorite to use. It will boost your immune system and protect you from many things, and especially things like the flu and colds in most cases. It is especially high in Iron and Vitamin C.
Many folks love Red Raspberries! They enjoy this slightly tart red fruit. They make pies and jams, tarts and smoothies, but no one really thinks about the leaves of the plant. Yet the Red Raspberry Leaf really doesn’t have as much of a “fruity” taste as you might expect. The taste is more green and earthy, yet it is a very mild taste. I normally mix it in with another tea, such as a Green tea or a fruit tea such as Acai or Blueberry, but most often I use Elderberry. All of these teas help boost and protect the immune system and fight the flu and colds. If you are already sick with the flu, (diarrhea, etc. ), the Red Raspberry Leaf will help a restore the minerals you need to stabilize your system and calm your stomach. 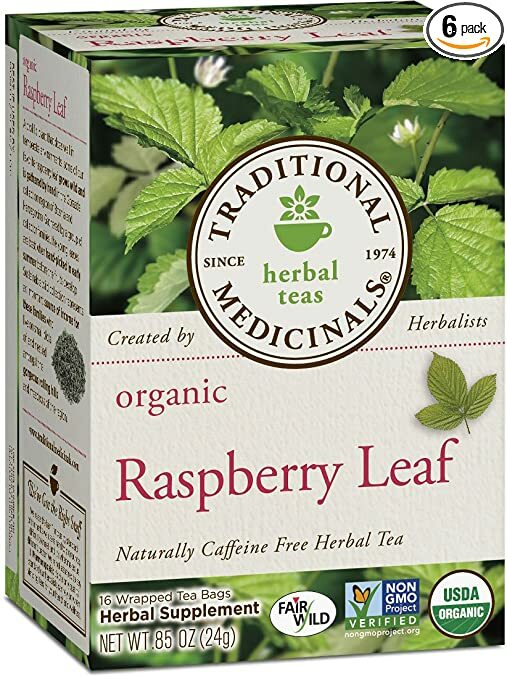 I add Red Raspberry leave to my herbal tea just about every day. I don’t remember the last time I had a cold or the flu. I also do not take “the flu shot,” which is so readily available in our society. Echinaccea 2-4 capsules every two hours if you are feeling flu symptoms. (If a tincture 1 dropper full every 2-4 hours Echinaccea is antimicrobial and will help build the immune system. Cayenne – (this powerful herb can be purchased in capsule form). At the first signs of a cold take 2 capsules with plenty of water. If possible get into steam, such as a hot shower. The Cayenne will probably cause you to sweat and it opens your blood vessels and increases your circulation. Garlic – This is great to use for its antibiotic properties. Take as much as you feel comfortable with. I like to take organic chicken broth, (home made if possible), and add several cloves of garlic as well as onion. NOTE: As an alternative you can chop fresh garlic and mix it with Vaseline. Apply this mixture to the bottoms of the feet and wrap in plastic wrap and then place socks over this. It will enter your system and you will taste garlic, (as well as having garlic breath). This works best of done over night, but can be done anytime when you don’t have to be on your feet. 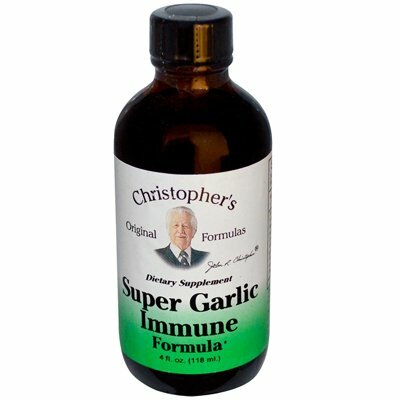 Supper Garlic Immune formula by doctor Christopher. If you can’t put the garlic poultice on your feet, you may try this product. This is a distilled garlic juice with high potency. Take 1-2 Tablespoons every few hours.